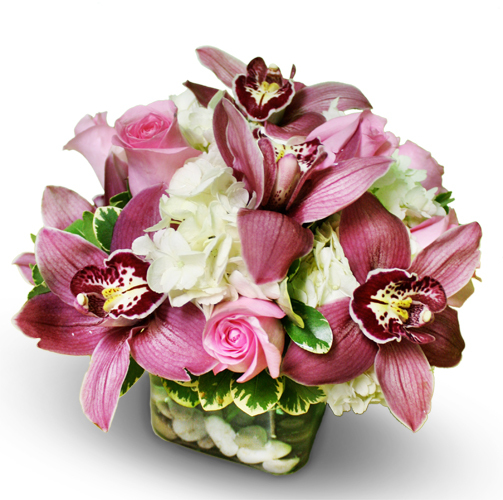 Pink and White Princess comes designed in a modern style cube vase with pink cymbidium orchids, pink roses, and white hydrangeas. Flower types and shades of pink and white may vary slightly. Another custom unique flower design only available at Belvedere Flowers.